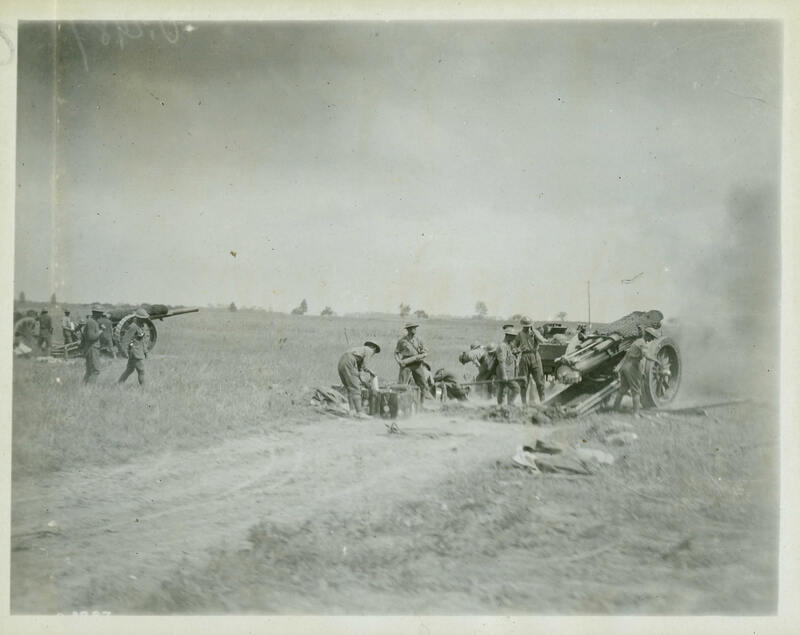 A 60-pounder in use during the Battle of Amiens in 1918. The opening day of the Amiens battle was an enormous success, but the deep advance of 12 kilometres forced the artillery to move forward to keep up with the infantry. In attempting to keep up with the infantry, these gunners have not had time to dig-in and are left dangerously exposed should the enemy begin to use high explosive or shrapnel fire.